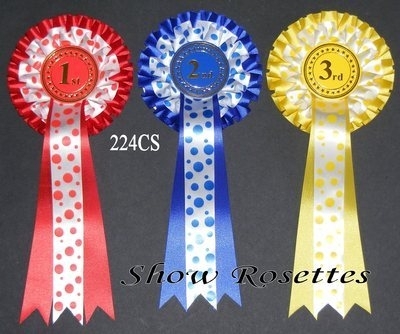 1 Placement Rosette- Two Tier of tight box pleat with contrasting spotty colour to match with matching colour 50mm printed centre, With the position of "Placement eg. 1st" in the centre. Colours & background design of gold type may vary from stock photo.